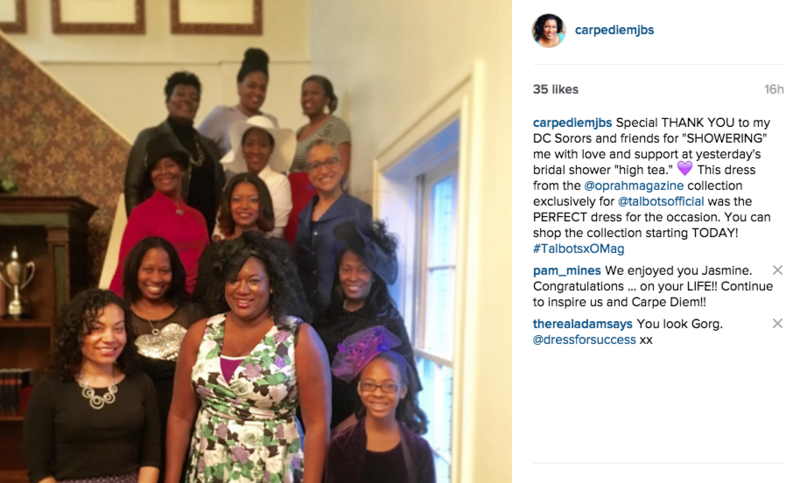 Imagine my excitement when my friends at O, The Oprah Magazine invited me to participate in a fashion shoot for an article about their spring fashion collection exclusively available at Talbots. 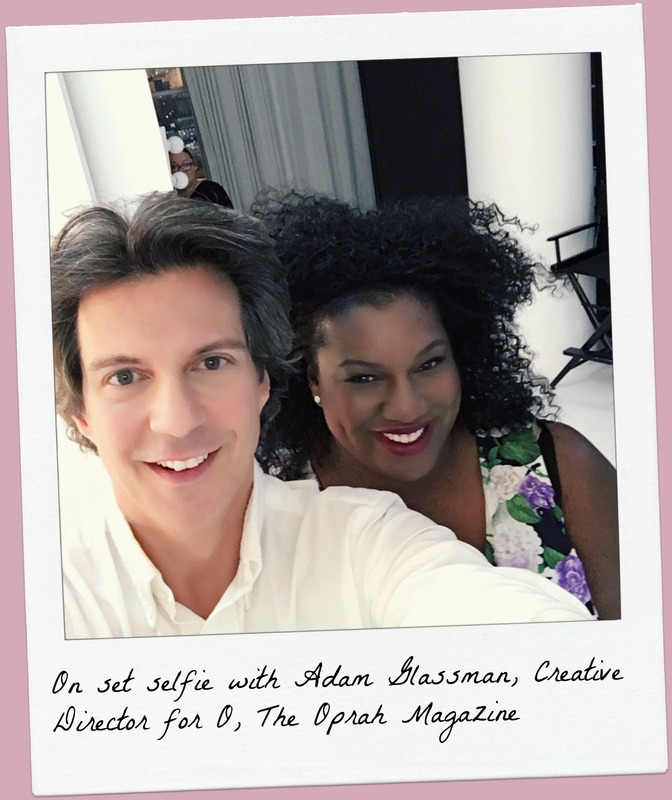 It’s not every day that a girl is styled by Adam Glassman, Creative Director for O, The Oprah Magazine. And when I found out that the collaborative collection between O, The Oprah Magazine and Talbots was a special collaboration benefiting Dress for Success my feelings of excitement shifted to a feeling of honor because of the global movement for change Dress for Success fosters by empowering women to obtain safer and better futures. 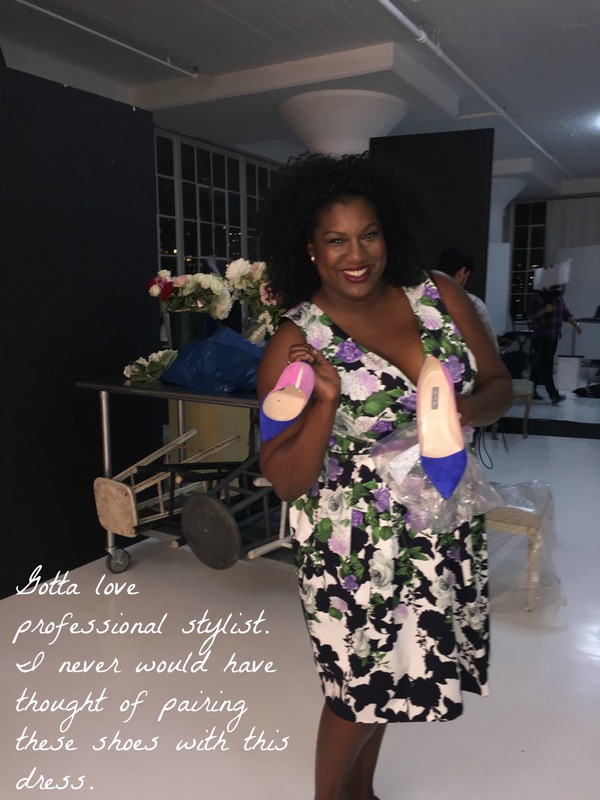 I actively support Dress for Success by donating my gently-used dresses and work clothes, and I volunteered with Dress for Success for many years. As a former Dress for Success volunteer, I witnessed first hand a positive confidence shift in the clients I helped choose an outfit for an upcoming interview or a new job, and I always enjoyed speaking to the women participating in Dress for Success’ Professional Women’s Group about networking and business etiquette. The limited-edition 7-piece collection has something to meet every woman’s personal style needs, and it’s an easy way for women to support other women by helping Dress for Success assist women entering the workforce and women seeking financial independence because 30% percent of the net proceeds from each sale directly benefit Dress for Success. The O, The Oprah Magazine Collection for Talbots is available in all Talbots stores and online starting TODAY, February 22nd through April 3rd. Additionally, you can donate gently worn work clothes to Dress for Success from March 3rd- March 6th at your local Talbots store. HELLO to jumpstarting spring cleaning! 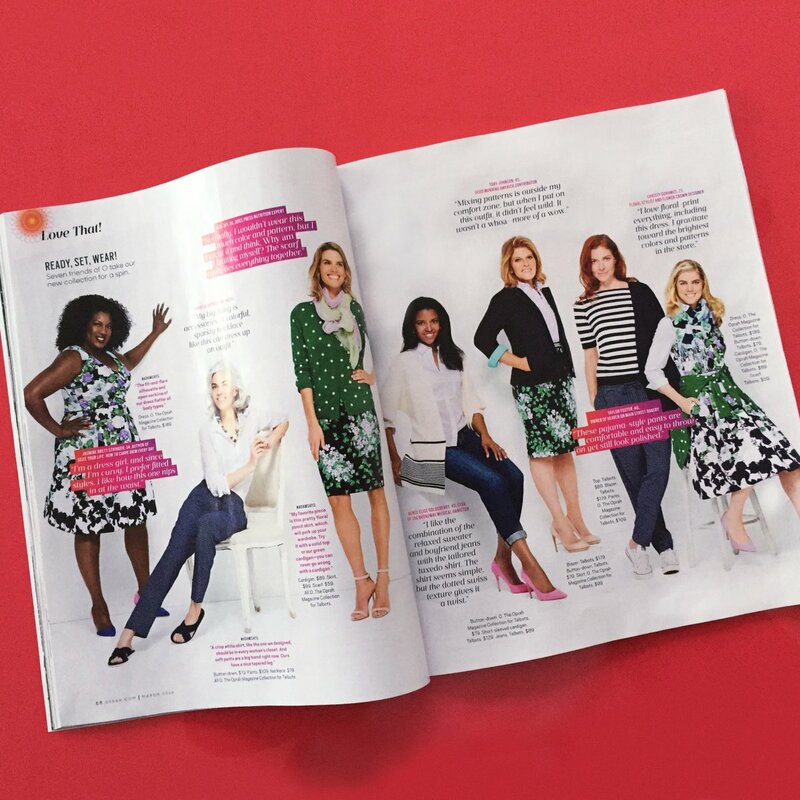 And if you need one more reason why you should shop the O, The Oprah Magazine Collection for Talbots make plans to visit your local Talbots store on March 5th for their nationwide Spring Shopping Style Event. 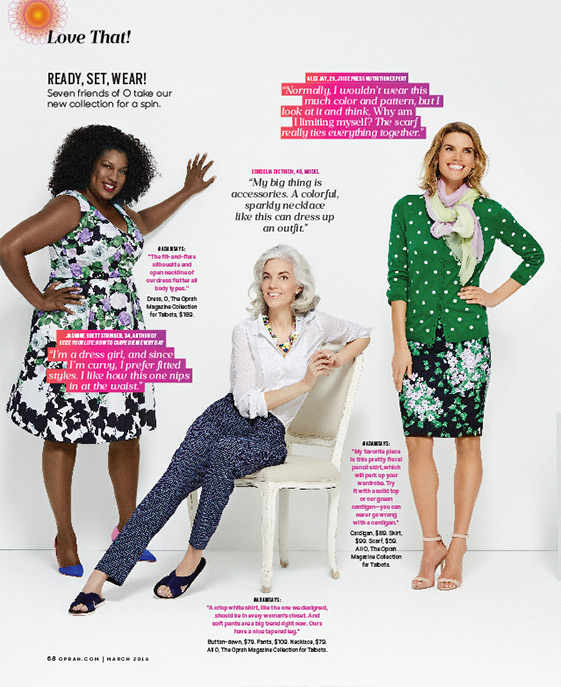 I LOVE the Hydrangea-Print Fit & Flare dress I’m wearing in the March edition of O, The Oprah Magazine. 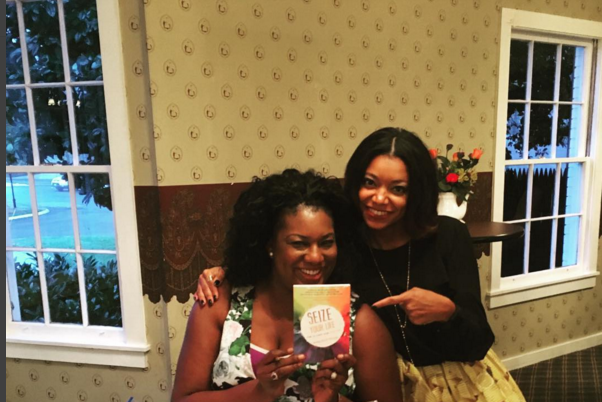 I LOVE it so much I wore it to two events over the weekend; my bridal shower tea and book signing for my book, Seize Your Life: How to Carpe Diem Every Day. 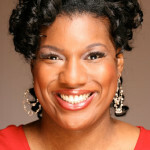 To learn more about the O, The Oprah Magazine Collection for Talbots visit Talbots.com. Have fun shopping for a purpose! This is so awesome! I am so proud of you! Wow how fabulous you look Jasmine, love that dress from Talbots – Carpe Diem! Congratulations! That is awesome! Thanks for sharing the experience.